Srinagar: The morning after Saudi Crown Prince Mohammad bin Salman promised to deliver “whatever we can do” for Pakistanis living in the kingdom, Pakistan Information Minister Fawad Chaudhry announced that MBS had ordered the immediate release of over 2,000 Pakistani prisoners in Saudi jails. 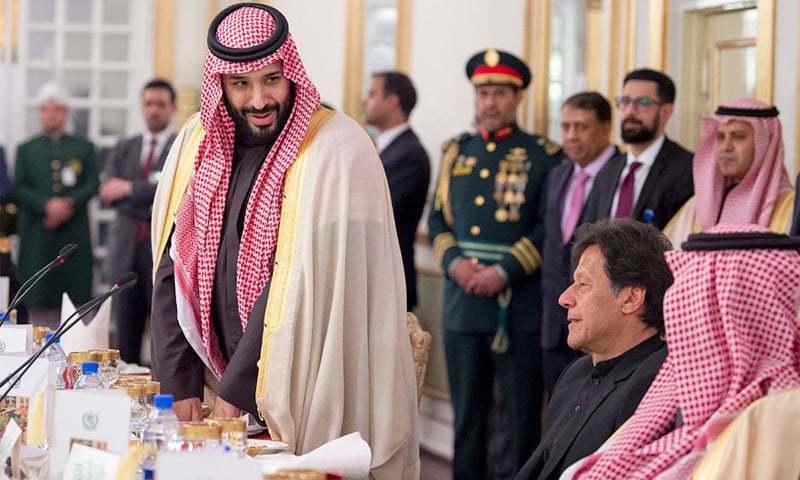 Prime Minister Imran Khan at a ceremony held to welcome the crown prince at PM House on Sunday night had made a “special request” to MBS to look into the hardships of Pakistani labourers working in the kingdom, and to “look upon them as your own people”, Dawn reported. “There are some 3,000 [Pakistani] prisoners there and we just would like you to bear in mind that they are poor people who have left their families behind,” Khan had said. Foreign Minister Shah Mahmood Qureshi also noted that the crown prince had “graciously agreed” to free the Pakistani prisoners “with immediate effect”. “Cases of the remaining will be reviewed,” he announced. The foreign minister said the people of Pakistan thanked the crown prince for “responding immediately” to the premier’s request. This was Prince Mohammad’s first state visit since becoming crown prince. Saudi Arabia has signed agreements worth $21 billion with Pakistan in various fields, including cooperation in power production, establishment of an oil refinery and petrochemical plant, promotion of sports and technical assistance in the standardisation sector.